More products coming up shortly!! 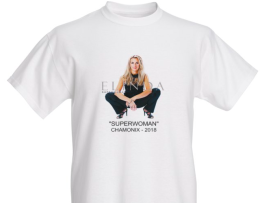 Order a signed T-shirt from the first show Elinda ever made as a solo artist. Only a few samples left - Limited edition. For international shipping please send us an e-mail and we will help you out.